Un paso a paso muy sencillo! How to Integrate EnderMetrics’ Learning Analytics Platform in your App. Our learning analytics platform has now officially launched! By requesting their invitation, educational app developers can now enjoy our data collection and analytics platform to find out in exact details about their users’ educational progress and difficulties through their apps. So, to get your start with our learning analytics asap, follow these simple steps to sign your app(s) up on the platform! Request your invitation here! By simply filling in a small form with your contact info, a link to your app and it development engine. Once we’ve received your request, we’ll send over your username and password. You just need to write those in to login on to your account on: http://developer.endermetrics.com. And there you go, you’re on the platform! Once you’re on the platform, add the application for which you want to get obtain analytics by simply clicking on “add application”. Then, design a small profile for your app by writing in its name, a short description, the platform(s) you’ve used to develop it and adding a picture. You can add as many applications to the platform as you wish. After filling in and saving those details, you’ll arrive at your new homepage! There you’ll find the profile(s) of your app or apps along with the option to access info, analytics and settings. Click on the option “info” of your app’s homepage profile. On the info page you’ll find your app token, the app’s identifier in the platform, and, right underneath, a bar that will keep you updated on that app’s amount of MAUs. – “Add activity”: add a name and description for each activity then save. – “Add skills” : within each activity, click on “add skills” and choose each skill that you want to measure within that activity. As with the app, each activity and each skill has its own “token”, a number unique to that activity of skill that links it to the activity or skill it corresponds to in the app itself. On the platform, you can use an SDK(Corona/Unity/Android/iOS) or an API. To use an SDK, just only need to install it within your game and you’re ready to go! Now, simply integrate the users’ account feature: an account for parents who can then register one or various children in the game, each with his or her own account. If you need any assistence with the code necessary to implement the use of the platform within your game, you can find it all in the Documentation section of the platform. 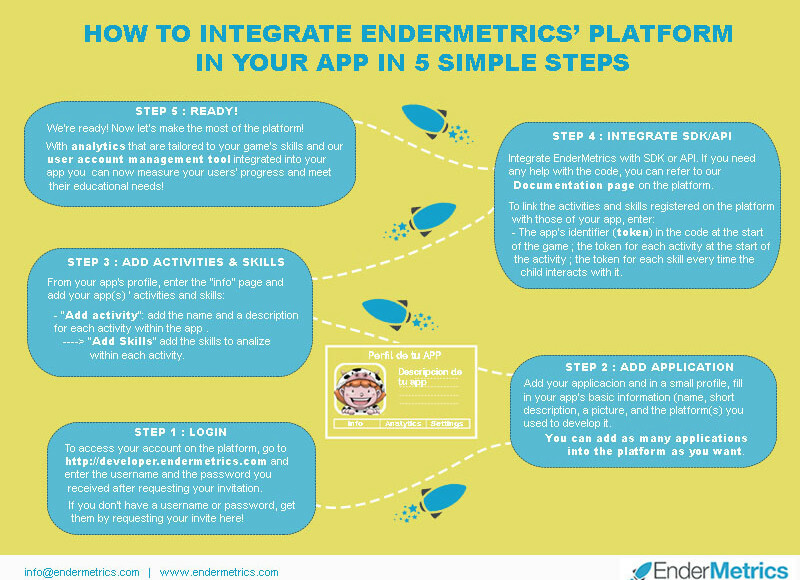 Step 6 – Link the information registered in EnderMetrics with your app’s. After registering the app, its activities, and their skills, you can now link those to the activities and skills they refer to in the game. – The identifier (token) of each app/game at the start of the app/game. – Each skill’s token everytime the child interacts with that skill. Thanks to these easy steps, inserting your metrics in the platform and implementing an account register for your users, we will be able collect all the latest data on each child’s progress, while preserving his or her anonymity of course. You will then be able to access our constantly updated reports and graphics on your EnderMetrics account. I know, we’re barely halfway through the year, and maybe it’s a bit early to start ranking the best children’s apps but we couldn’t wait because there have been some seriously amazing games of all kinds to come out of the works and it’s about time you knew! Also, for many of you, summer has arrived and if you need to keep the little monsters entertained, why not do that with fun and educational games? The Foos by Codespark- Computer Programming is Child’s Play! It might look pretty surprising for an app to decide to teach computer programming to kids as young as five. But, the creators behind this game thought it through. The Foos is as they’ve put it themselves “the ABCs of computer programming”. With really simple and intuitive activities, kids can pick up the basics of programming while having lots of fun! In this day and age programming has turned into an essential skill. Many academies, clubs and camps have already started teaching it and a lot of important academics are campaigning for coding to be taught in schools. It might become as important as reading and writing for the generational to come. So why not teach those generations about coding now? Their sponge-like brains can absorb it all while having a ball! Only released last year and it’s already won many awards, including The Guardian’s award for best iPad App for Kids. This stimulating game for toddlers from two years old onwards allows children to explore the interactive Lumikids park while gently practising skills essential to early development, like socio-emotional skills, motor skills and coordination. 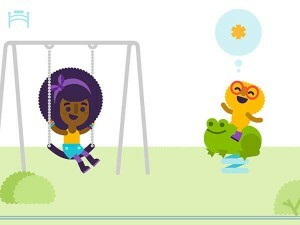 Lumikids is part of Lumos Labs, a team of neuroscience and child psychology researchers that have been working on creating a “digital playspace” for Young children. Part of what makes Lumosity so impressive is its use of in-depth updated research to create its games. Several articles have raised a debate about how many toddlers’ apps are actually educational in any way, especially compared to the amount of educational young children’s apps on the market. This question is the main reason Learning Analytics has become essential to developers: research and insight before and after making an educational game makes the difference between having an “educational” game and a real educational game. Finding this game was not as easy as it should be, considering its fantastic quality as a genuinely entertaining and diverse geography game app. As a geography-lover myself, I’ve been searching for geography games that go beyond your basic name the countries on the map quiz. 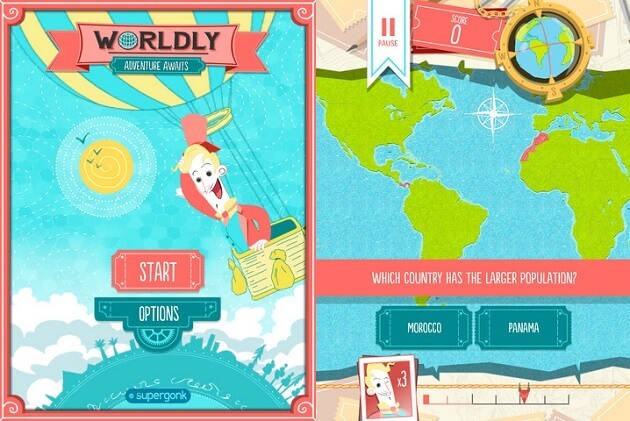 With its attractive colourful graphics and its varied activities that involve logical thinking as well as geographical knowledge, Wordly takes the geographical quiz game to the next level. 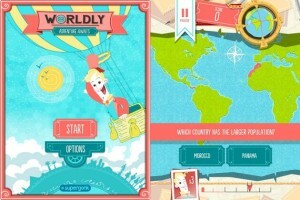 The player follows entertaining character Sir Maxwell Worldly on an adventure around the globe and gets challenges of all types like guessing the compared populations of different states, the distances between important cities, recognising countries from their flags or naming countries all over the world within timed limits. This game doesn’t revolutionise geography teaching but it turns it into a genuinely exciting world full of entertaining knowledge. And for that, I say chapeau! The oldest game on this list and still one of the best! Released two years ago, award-winning app Pili Pop teaches English through a multitude of different activities (40+ and more are added every month!) that make sure the little learners never get bored and keep practising! 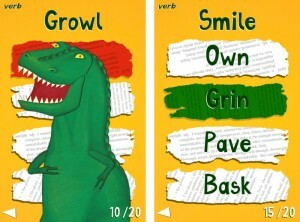 Total immersion into the English language is a bold technique but one that’s worked out for Pili Pop’s English as a Foreign Language Games. All the instructions are in English and children also get to practise their pronunciation. Parents also get to keep up to date on their children’s progress thanks to a monthly update! 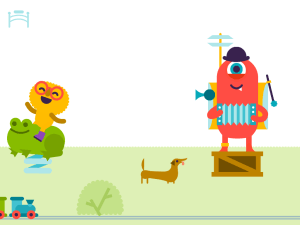 For the little engineers and inventors to be, Sweden’s Filimundus has created Inventioneers! 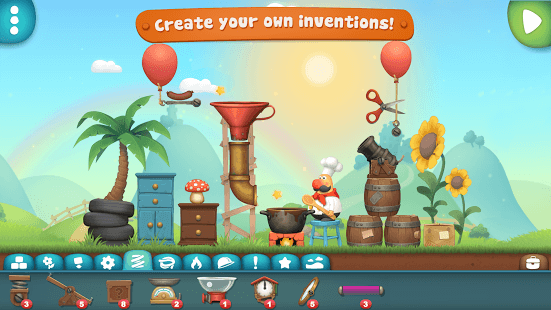 Mixing creativity with logic and engineering, this game challenges children to use their inventiveness and problem-solving skills to build different inventions with the everyday objects they’re given and solve fun little situations! Each level won brings the positive reward of a new object for kids to build their own inventions. 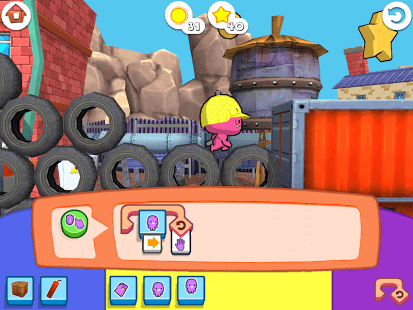 With its simple attractive graphics and instructions through pop-up images instead of blunt text, this game guides the children subtly through the game and lets them solve the challenges independently through trial and error. With every level’s promise of a new quirky conundrum to solve while turning mundane elastic bangs and shoes into into power tools, kids could play this game all day! 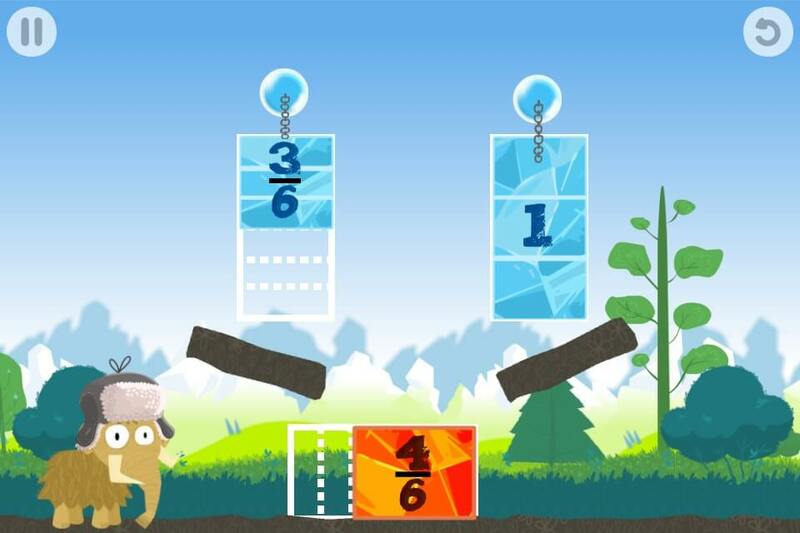 Slice Fractions by Ululab – Fractional Adventures! Can you remember your 10 year-old self staring intensely at the weird numbers on the board separated by that strange horizontal bar and wondering what on earth they were supposed to mean? If only you could have played Ululab’s Slice Fractions! Slice fractions teaches fractions through a fun adventure game that follows a little mammoth who needs to slice the ice and lava are in his way to keep exploring. The player must help him slice through them to get those obstacles out of the way. And that’s where the fractions come in. Slice Fractions follows the Common Core Standard to teach the key concepts of fractions through instinctive visual puzzle games. Instead of alternating fun games and lesson content, as many games end up doing, Slice Fractions turns the lesson into a game activity to teach the concepts with logical visual examples. 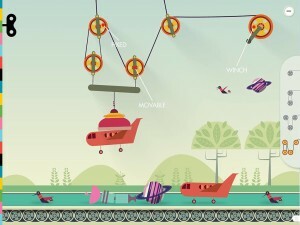 Meikme’s very latest ABCine is a perfected classic alphabet-teaching game for young children. Its finger-tracing features and the little arrows that subtly guide the players help the little ones practise their motor skills while learning each letter. But ABCine comes with an added bonus that will make it THE alphabet-learning game of the year: its irresistible design, attractive with geometric shapes and wonderful tones of colours, includes unique and hilarious illustrations at the end of each activity. Each letter when traced gives way to whimsical imagined situations from famous film characters characterised by the letter just traced. Elk and Key are a little indie company that just got their start and they are already bursting with imagination and their very own style that blends dinosaurs with lively language. And what kid doesn’t love dinosaurs I ask you? Their latest and only second game, Theasaurus, is a simple and effective vocabulary-building game that combines word-matching activities to learn synonyms with artistic illustrations of crazy little Tyrannosaurus Rex character. How can you make the little ones sit down and appreciate arias crafted by Mozart, Puccini, Rossini, Verdi and Torroba? Dada Company’s Play Opera is how! 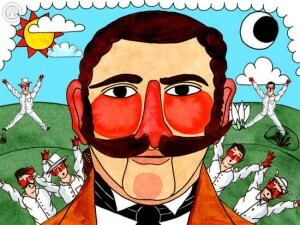 More of an audiovisual experience than a game, DADA Company’s latest is combination of classic opera pieces and beautiful visuals that will fascinate children while educating them about some of classical music’s most important works. Each out of the 5 pieces of opera is combined with illustrations, drawn by a different illustrator in his or her own distinctive style. Puccini’s Turandot, for example, is paired with Pablo Auladell’s oriental dark-toned illustrations. This distinctive style of illustration for each piece that communicates the atmosphere of the piece to the child so that they can experience and interpret themselves what the music is about. From the makers of the fantastic biology game “The Human Body” comes this new entertaining number that lets the young ones experiment with physics in fun contexts. You might think teaching physics to 6 year olds, and making it fun, is an impossible task but as you can guess from its name Simple Machine did it by keeping it simple. 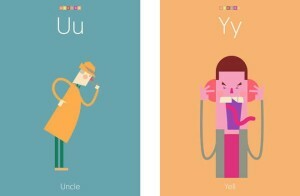 The app design is clean and colourful design and its intuitive features attract children’s attention and curiosity. The game’s learning through acting style of “physics at work” already got a rave reviews. With Tiny Bop’s activities kids experiment with simple tools to break giant icebergs or spin unicycle wheels and through action they understand principles of physics like actions and reactions, inputs and outputs, or force and motion. 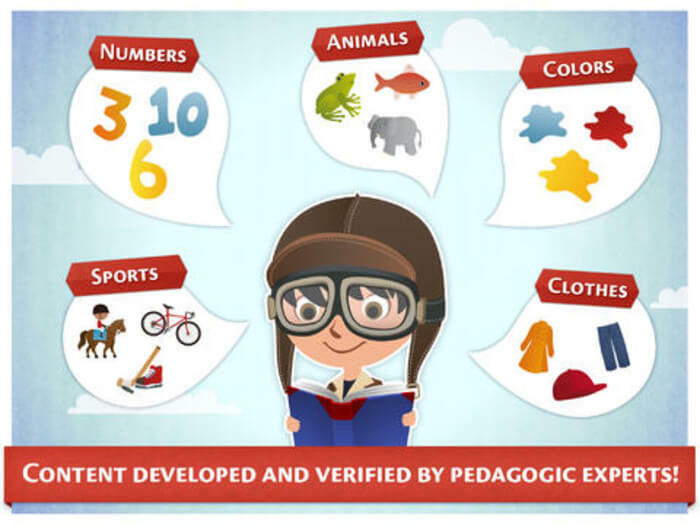 Judit Villarte, CEO, Jacobo Pedrosa, CTO and Sergi Planas, CGO, are the three partners and friends behind Endermetrics, a learning analytics platform designed to boost the educational performance of kids’ apps’. I took advantage of a break on a long working afternoon to ask them a few questions about Endermetrics’ origins, its purpose and its future plans! Sergi: Yep, about eight years ago. Q: How did you start actually working together? Jacobo- With Sergi, we worked together a bit on Cetrex, the innovation and internet Project development company I’d started with some other partners. Sergi – Yeah, I did some freelance work for them. Jacobo – And with Judit we went to work in San Francisco together after graduation. We worked for a year for Innovalley, a Smart Apparel company in Silicon Valley. Judit – So really we started to work the three of us in one same team a few years ago when we started Lilymedia, a company that develops educational kids’ apps. Lilymedia is also Endermetrics’ parent company. Q: How did you get the idea for Endermetrics? Jacobo – Well when we worked in Lilymedia and made our apps for young children, we also included some learning analytics of our own and a graphics and analytics dashboard for parents, so they could get feedback on their child’s progress. So…. we decided to create Endermetrics! Q: Why do you think educational apps need Learning Analytics? Judit – Endermetrics optimizes a game or an activity so that it constantly adapts to the child’s level, so that it’s never to hard or too easy, because otherwise the kids get frustrated or bored very easily. Sergi – And that’s essential for developers, to know how to make the game fit the player, so the player wants to keep playing. And learning! Q: What’s innovative about Endermetrics? 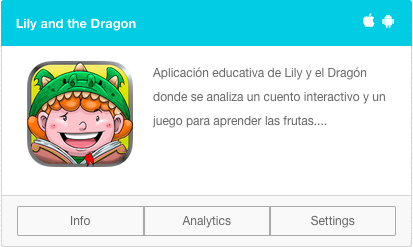 Judit – There already are kids’ apps that have started to create their own educational dashboards and analytics because there is no service in the market offering to do it for them instead. Endermetrics is offering to provide this new and clearly needed service. We also provide an educational curriculum we designed ourselves to fit within any educational game and enable the most accurate measurement of metrics. But we can also adapt to any game’s own curriculum. The parents’ dashboard we provide isnt the first of its kind, other games use their own, but we’re offering a new service of an already devised dashboard that any developer can adapt to his or her own game. Sergi – And the learning optimization you mentioned before, to constantly adapt to each child’s level, I think that’s very new and forward-thinking for the future of education. Q: Speaking of the future, what are your goals for Endermetrics in the future? Jacobo – Become millionaires? Hahaha. Judit – In the near future? We want to oficially launch our product, we’re in beta phase right now, and get more happy motivated clients! In a more distant future, we want the big brands that are interested now to keep using our learning analytics. The dream would be to one day supply analytics and optimization to schools for their digital activities. Q: What impact to you want to have on children and on the education industry as a whole? Judit – We want to change the current paradigm of education that’s been inherited from the industrial revolution, where all the children go in as a herd and have to learn exactly the same things in the same way, just fit into a mold. Jacobo – Yes, I believe that we have an obsolete educational system, where children often have to learn a bunch of particular facts, say the date of the french revolution. And if they don’t know it, they don’t pass. But on many occasions learning dates and facts by heart isn’t necessary. We have to teach and learn differently. Jacobo- Regarding the need for changes in the market for kids’ apps we also want to change it for the better. There is a saturation of kids apps in the industry of educational games right now. Judit – More tan 400 000! Jacobo – in Android and in iOS. And there is no way to check which kids apps are actually fulfilling their educational purpose, nor how to improve teaching methods on apps or which application is a better teacher than another. We want to end this problem with the data and the analytics Endermetrics will provide, and from recent studies and sources it really looks like big data and analytics will have a big impact in the world of education. Q: What do you see for Education and Technology in the Future? Sergi – It’s clear that the evolution in technology now and in the future means that learning will be less and less about memorizing information and more about developing skills in finding and analysing information. Judit – And with the growing use of digital devices schools are starting to implement elements of virtual reality in the classrooms too. Sergi – I think the way forward in the design of education in the future, and already right now, is going to be finding out what is the most effective and efficient for a child’s progress. But it’s already clear that this has to pass through internet, soon children will be constantly connected as they learn. 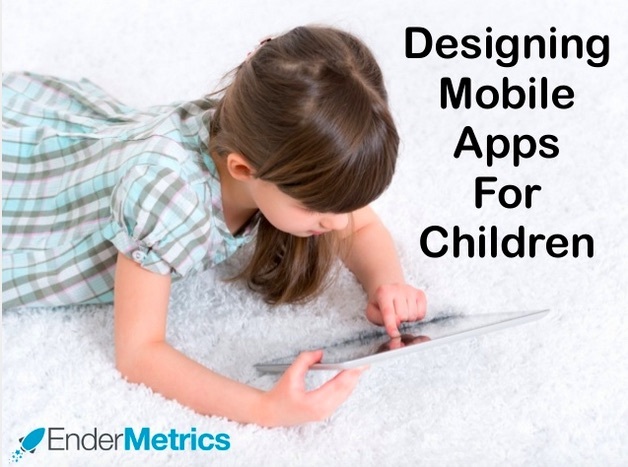 From our own experience and extensive research, here are our key tips on how to develop Kids’ Apps. The crucial differences between designing an app for adults and an app for kids. The greatest factors to keep in mind when making a children’s game or educational app are simplicity and instinctiveness, especially with visuals. Kids’ need for explicit goals and guidance. For an enjoyable and successful experience with a game or activity, children need to know what is expected of them, expressed in a clear manner. That means giving clear visual and oral instructions before an activity begins, including a tutorial if possible to help the child visualise what he needs to do and also instructions when it appears the child might not know what to do. These instruction can me oral or visual reminders if the child keeps doing the wrong. Vivid images, colours and animation keep children interested and motivated to interact with the activities. BUT avoid an overload of attention-catching elements that might distract the child from the activity itself (too many colours or animations on parts of the screen that are not relevant to the task). Positive reinforcement is essential to maintaining a child’s confidence and motivation when learning. Avoid giving negative feedback, instead give encouragements to do better and when the player gets it right congratulate and praise him.Adaptive learning is also really helpful to tailor to each child’s needs. Making different levels is a good start, and adapting each level to the child’s skills is the step further that will create a tailored and individualised learning environment for learners. Analytics and Feedback will make sure that all of the design and pedagogy used is actually working at its best! Mobile data analytics serves to measure and optimize the user experience of the app can be of gooduse to make your app the easiest, most comfortable and most enjoyable to use. Learning analytics, however, is essential to gather data, insight and guidance on whether your app is fulfilling its educational purpose and in what ways it is succeeding or struggling. But more than just informing, a Learning Analytics platform will also enlighten you on how to adapt and optimize your app to improve its educational performance. As well as that, a platform like Endermetrics also provides an data dashboard for you to keep parents’ updated on their child’s progress. So with all this in mind, go forth, program and prosper! And so our blog begins! Welcome to this very first post, we are very excited to launch this blog page. Endermetrics is just launched and whether you are one of our users, a reviewer, a journalist or a curious passer-by, I think you’ll find your worth of interesting news on this page. We will share fresh info on Endermetrics’ progress and innovations but also post interesting pieces about the world of educational apps and analytics. 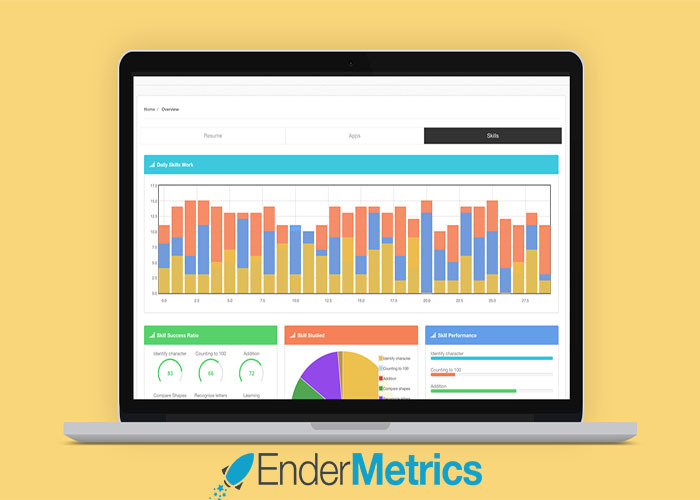 Endermetrics is a learning analytics platform available to developers of educational and game-based apps to evaluate and optimize their users’ progress.